Cab. Shiraz. The ultimate battle. This is the kind of tasting opportunity that wine geeks drool over: two bottles from the same producer (Longview), same region (Adelaide Hills in Australia), same vintage (2010) and same single vineyard (the aptly named Longview Vineyard), made using the same winemaking techniques (fermentation on skins, 18-20 months aging in French oak), differing only by their grape variety, Cab vs. Shiraz. The Devils Elbow Cabernet Sauvignon was named after a treacherous hairpin turn in the windy road leading up the hills into Longview Vineyard; the Yakka Shiraz was named after a spiny prehistoric-looking plant that grows in it. Both red offerings epitomize the New Australia now being unveiled to the wine world: many recent efforts from Down Under try to sell themselves as a counterpoint to the stereotypical blowsy Aussie fruit bombs of years past, but these wines from Longview take that philosophy absolutely to the hilt, offering up balanced, restrained, nuanced flavours and a take on each grape that is dripping with Old World influence. The similarities between the two reds are plentiful, but when poured side by side, the differences slowly emerge. But I’m getting ahead of myself. You may consider it the pinnacle of normal for an Australian producer to offer up a Cab and a Shiraz in its portfolio, and in most instances you would be right…but not in the Adelaide Hills. This is a cool climate region located up in the foothills due east of Adelaide, part of the self-descriptive Mount Lofty Ranges just south of the much hotter Barossa Valley, Shiraz’s southern hemisphere home base. Where Barossa’s wines come from the warm valley floor, Adelaide Hills’ vineyards are all found at over 400 metres above sea level, and Longview Vineyard doubles down by running close to the shores of the large Lake Alexandrina. The combination of high altitude and coastal proximity results in a string of cooling breezes and a high diurnal shift (the temperature swing between day and night, also recently discussed here – it’s becoming my meteorological phenomenon of choice), making Adelaide Hills a much chillier place to be than you might expect. Due to these climatic conditions, the region is most known for grapes that trend best towards elegance instead of ripeness: Chardonnay, Sauvignon Blanc and Pinot Noir. Cabernet and Shiraz do not fit comfortably into that mix. Longview puts these bigger reds in a position to succeed by planting them on the warmer, sunnier north-facing slopes in its rolling vineyard (this is the southern hemisphere, remember, so the slopes are reversed: it’s like having a south-facing backyard as opposed to a north-facing backyard here). The additional sun exposure, along with a fairly long ripening period, allows the Cabernet and Shiraz grapes to get properly ripe, although it is immediately clear on the first sip that they were not grown in the sun-baked desert areas where Australia first made its name. There wasn’t much to set the wines apart in terms of colour: the Devils Elbow was a medium ruby hue that seemed to coat the glass a bit more, while the Yakka was a shade darker and more opaque, a touch more purple without being ultra-dense. The nose on each red was where I spent most of my time, as each one captured me and drew me right back to the Old World spiritual heartland of these noble grapes. The Devils Elbow Cab was awash in blackcurrant and leather, pomegranate, mint and toast, with graphite and tobacco highlights and a sort of savoury, funky, green olive top note that lingered throughout: if I was blinded on it I would have gone instantly to Bordeaux. The Yakka Shiraz had deeper fruit aromas, grape and blueberry, with a touch of smoke and maple, cinnamon and clove, a heat-baked smouldering smell I can best describe as “hot rocks” or “sauna” and a sweetly floral top note: Northern Rhone through and through. There’s probably no better way to confirm that you’ve captured the essence of these two grapes than to have each wine transport the drinker to the respective Meccas of Cabernet and Syrah. Once these wines finally made their way to my lips, they didn’t quite match the complexity and typicity that triumphed on the nose, but they remained interesting examples of how these big red grapes transform and restrain themselves in cooler climes, with fruit taking a step back in their flavour profile and more herbal notes gaining prominence. The Devils Elbow came across as elegant and slightly austere, with sweet yet lithe cherry and blackberry fruit laced with rhubarb tartness and wrapped around toasty oak, finishing on a papery note that reminded me of newspaper or parchment. The Yakka was smoother and creamier, with a lush yet structured texture and deeper black and blue fruit playing off supporting flavours of bakers’ chocolate, sage/dill and asphalt. Both wines featured a noticeable tomato leaf flavour that lingered throughout (and I recognize that “tomato leaf” is on the higher end of pretentious flavour descriptors, but the flavour was exactly like the scent of standing in a tomato garden, or the smell on your hands after picking tomatoes, so I’m standing by it in this case). Both wines were better on the second day than the first, but both left me with the feeling that the palate didn’t entirely fulfill the incredible promise of the nose – the Platonic Old World expression of the grapes that I smelled wasn’t fully fleshed out when I actually tried the wine. This could very well improve with time, as these wines were built for the long haul. 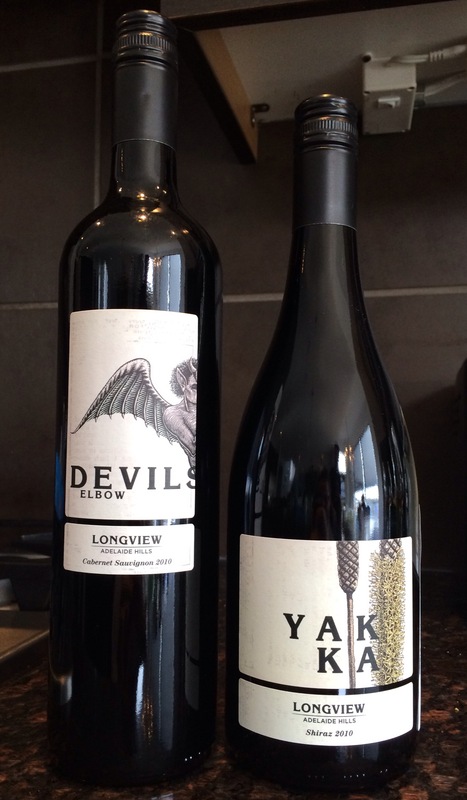 For now, in the great Longview vs. Longview red showdown, I have to give the very slight edge to the Devils Elbow Cabernet, partly due to an absolutely beautiful set of aromas that bowled me over, and partly due to the fact that I think it integrated its fruit into its overall flavour package a bit better than the Yakka Shiraz did. I will be very curious to see where these two bottles are at in five years, and even more curious to watch Longview’s own ascending path on the new frontier of Australian winemaking. 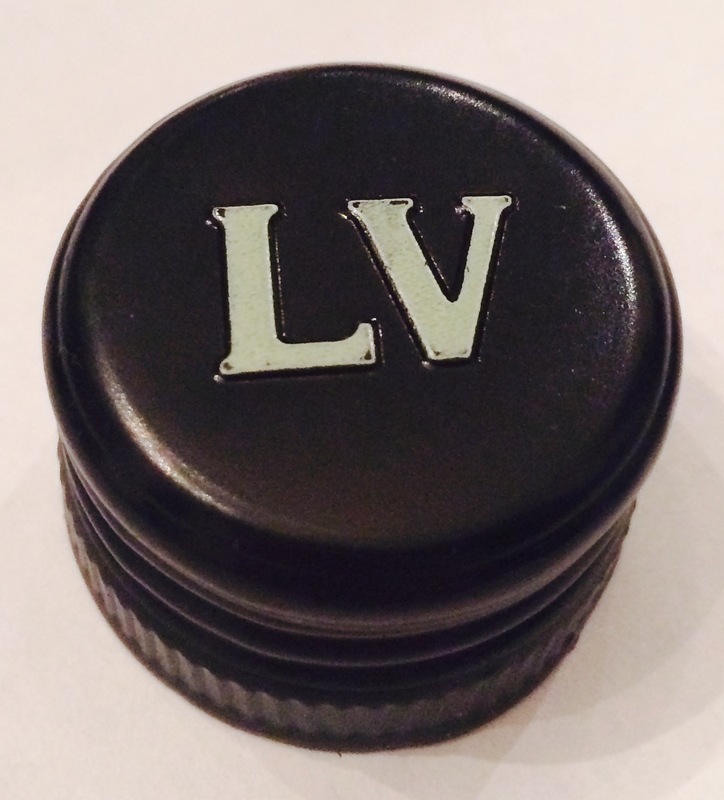 For another local take on the Longview Yakka Shiraz, check out Adrian Bryska’s review at YYC Wine.